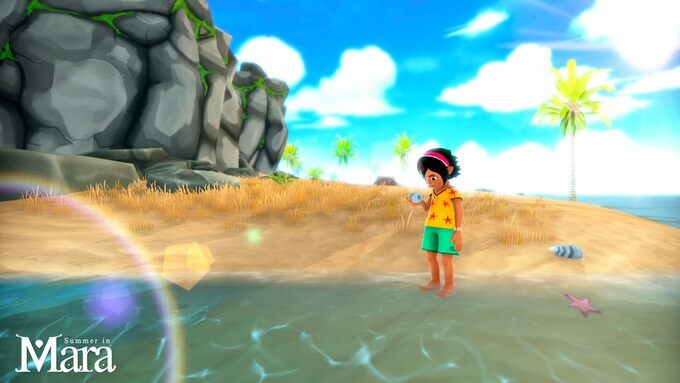 Chibig Studio’s intriguing adventure game, Summer in Mara, has been fully funded on Kickstarter and will release in September 2019 for the PlayStation 4, Nintendo Switch, and PC. Billed as “The Legend of Zelda: The Wind Waker meets Stardew Valley,” the game has players managing their own island at their own pace with an “easy” RPG system and exploration elements. The protagonist, Koa, will be farming, crafting, traveling across a vast ocean in her boat, meeting people, and trading. Chibig Studio has promised that Summer in Mara will be full of things for players to do. The game will be translated in up to nine languages including Japanese and Russian. We’ll update our readers when a release date is announced. In the meantime, check out some screenshots in the gallery below and let us know what you think.